These redundant agricultural buildings are to be renovated to become one residential property. 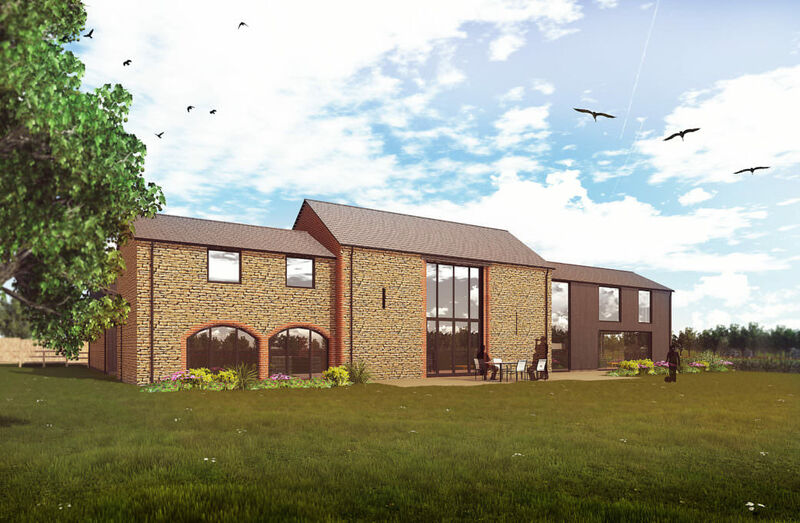 This involves the demolition of existing farm structures, the demolition, reconstruction and conversion of existing stone buildings and the erection of new structures in order to create a single coherant home. 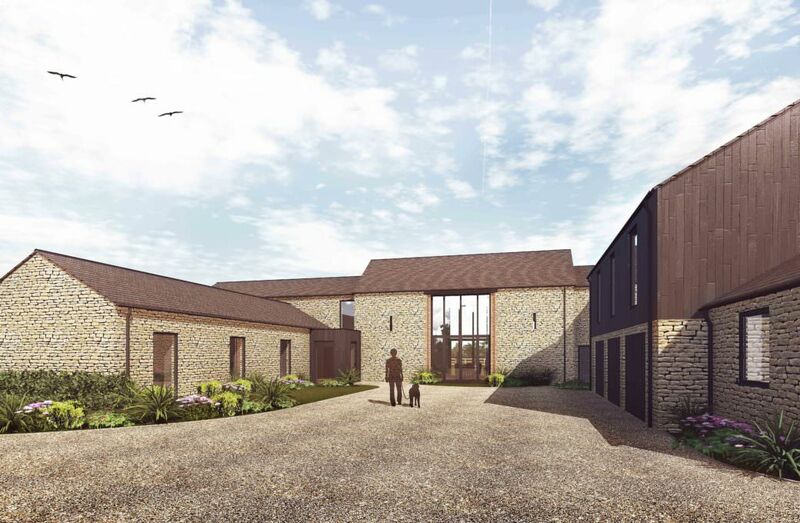 When developing the design, various factors were taken into consideration in order to achieve a successful site layout and internal floor plan which sensitively responded to the constraints and opportunities of the site, including the integration and relationship of the proposed extensions with the existing retained / rebuilt structures and surrounding context. 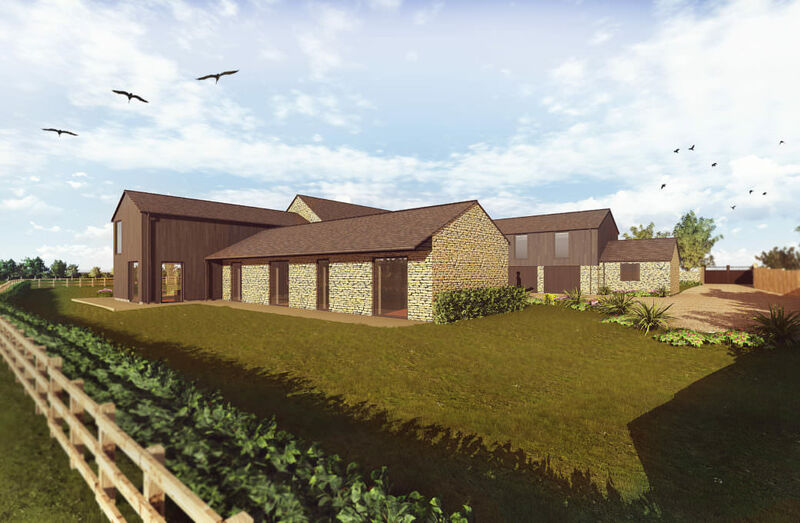 The proposed extensions to the existing structures range in height and scale, which will all be subservient to the main stone barn. This will help maintain a hierarchy of built form across the site. The appearance of the proposal has been carefully considered in order to create a synthesis between the contemporary and traditional elements of the design. This has been achieved by retaining a number of the existing external features whilst also introducing large contemporary glazed openings throughout the design. The choice of materials has also been carefully considered to maintain a traditional aesthetic to the development, as well as introducing modern materials which contribute towards creating an well considered design. 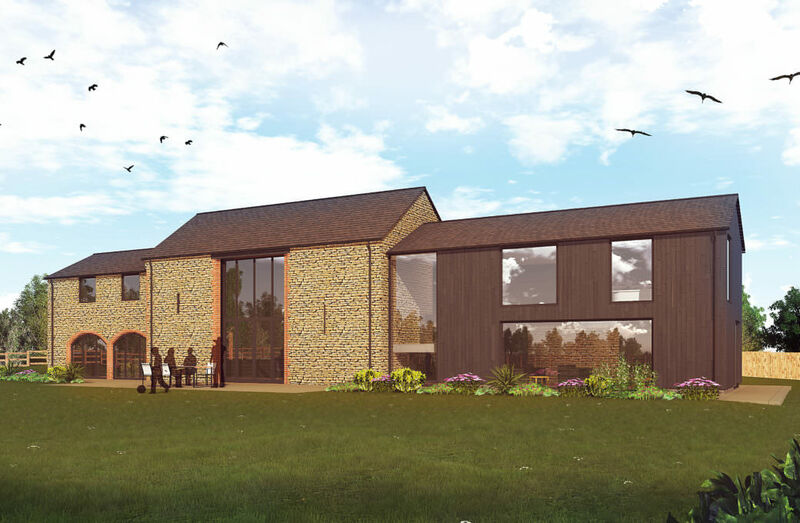 The scheme creates a home with a gross internal floor area of 4,000 square feet, delivering a sustainable building with high quality spaces and accommodation.